Stroll through the cozy office of New York City-based NextStopNY and you’ll see granite countertops, an assortment of carpet tiles, floor plans and stylish coat hangers, and an exquisitely finished kitchen. That’s because the brokerage shares space with an interior design firm. The setup has helped both companies provide more value to prospects and clients than they could have on their own, and each company seamlessly refers business to the other. 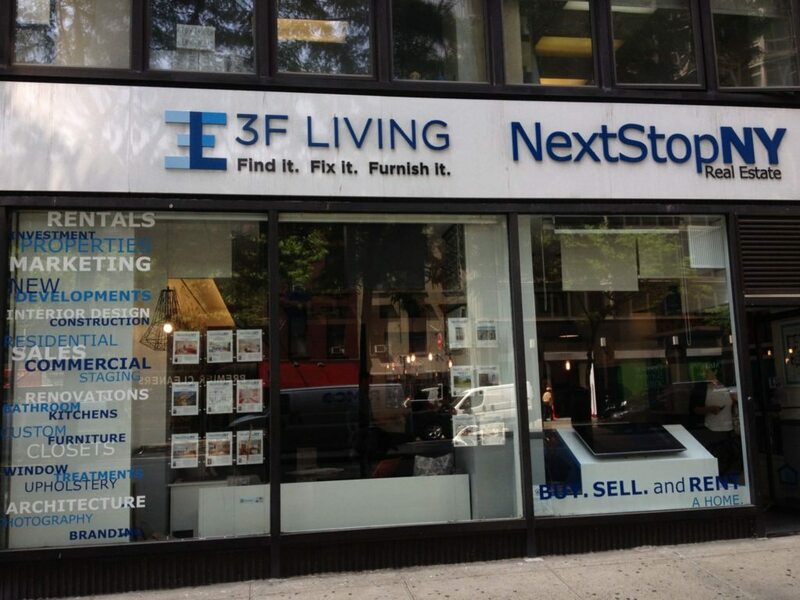 “We decided to make their showroom our residential real estate office,” said NextStopNY principal broker Craig Roth of 3F Living, the interior design firm that doubles up with NextStopNY. 3F Living was co-founded by Zack Sosne. He spends most of his time helping run the design firm. But he’s also an agent at NextStopNY, where he worked for Roth before founding 3F Living. “When I was opening up my space for NextStopNY, he wanted to open up space as well, and we felt that we work better together,” Roth said, referring to Sosne. 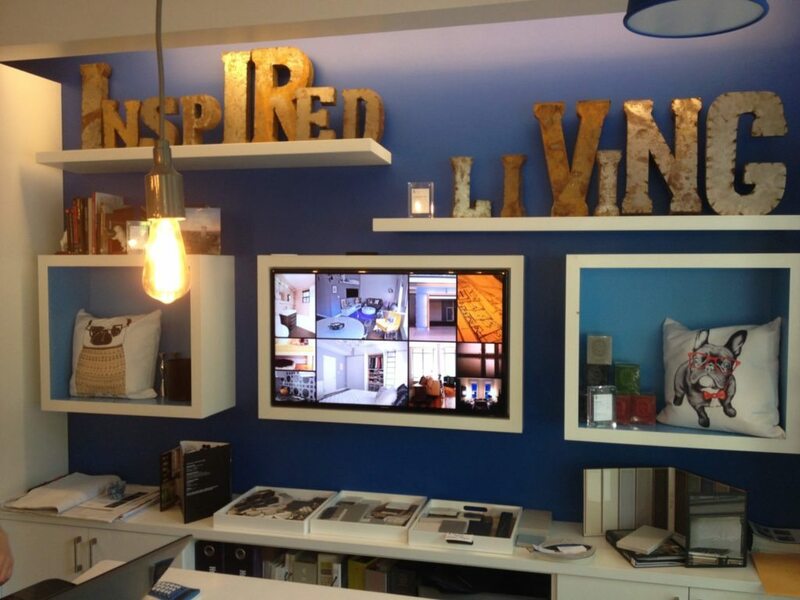 The idea is to offer a one-stop shop for buying, selling and designing homes. 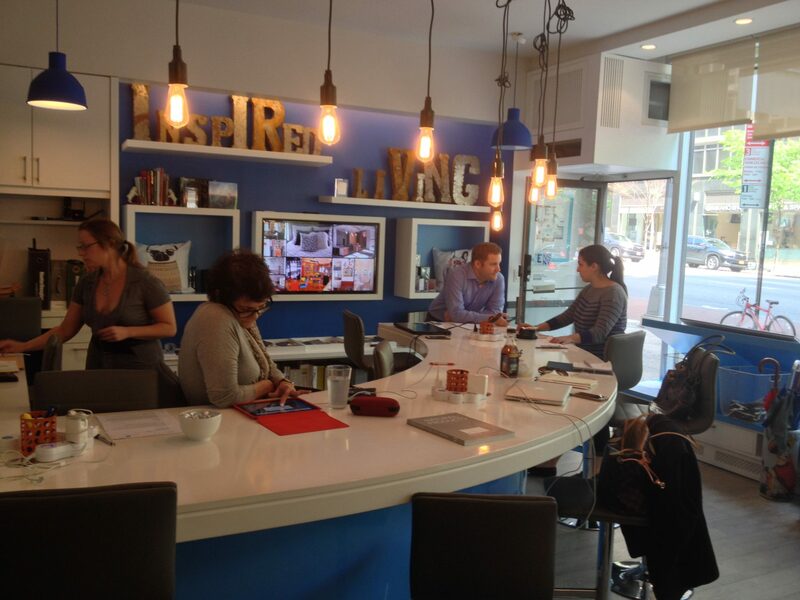 “While our companies are completely separate, our sharing of an office does help each of our companies to garner business, as our working in the same office helps to make the customers experience a seamless one,” wrote Donna Walter, managing director at NextStopNY, in an email. 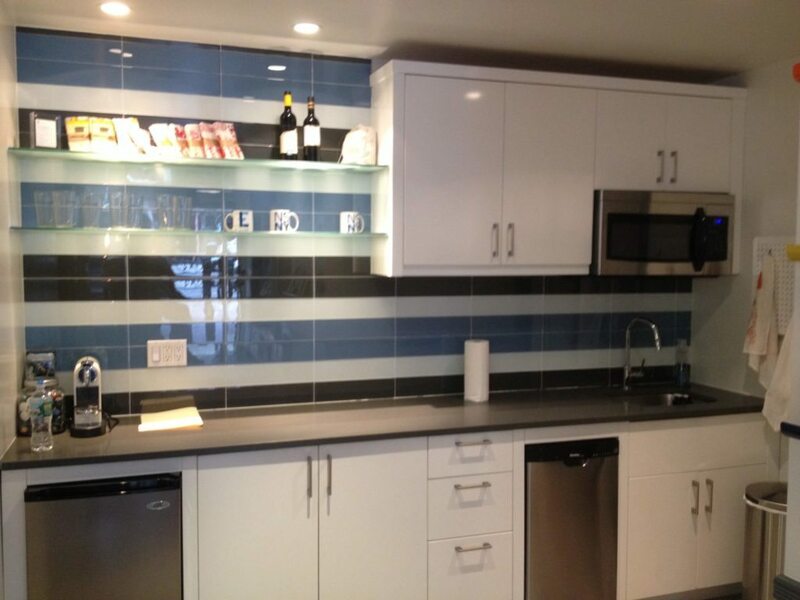 Prospective buyers may enter the office wondering how much it would cost to renovate a home that they’re eyeing. And possible sellers may stop by wondering what they could do to maximize their home’s appeal to buyers. In one case, NextStopNY pitched a couple on selling their one-bedroom apartment together with the adjacent apartment of their neighbors, who also had a one-bedroom unit that they were interested in selling. The logic was that, due a shortage of two- and three-bedroom apartments in New York City, selling the two one-bedroom apartments as a single two-bedroom unit could generate a higher return for both homeowners.. Both sellers were skeptical of the plan. But that changed when 3F Living chipped in and developed several floor plans showing how the two apartments could be combined to maximize space. The floor plans won the homeowners over, and they sold their apartments as one unit with NextStopNY for “top dollar,” according to Walter. The buyers didn’t end up using 3F Living to remodel the apartment, but one of the sellers is currently considering using 3F Living to renovate their new apartment, Walter said. The referrals flow both ways. NextStopNY and 3F Living’s storefront broadcasts the office’s dual purpose. Roth said his previous office could only accommodate about 15 agents. But even though the new office he shares with 3F Living is about the same size as NextStopNY’s previous office, he said its open layout can meet the needs of 40 agents. “While everyone does not come in every day, our open office plan … allows our agents and [3F Living] designers the opportunity to plug in a laptop at the walk-up station and work comfortably,” he said. The setup creates a family-like work environment that encourages agents to learn from each other, he said. 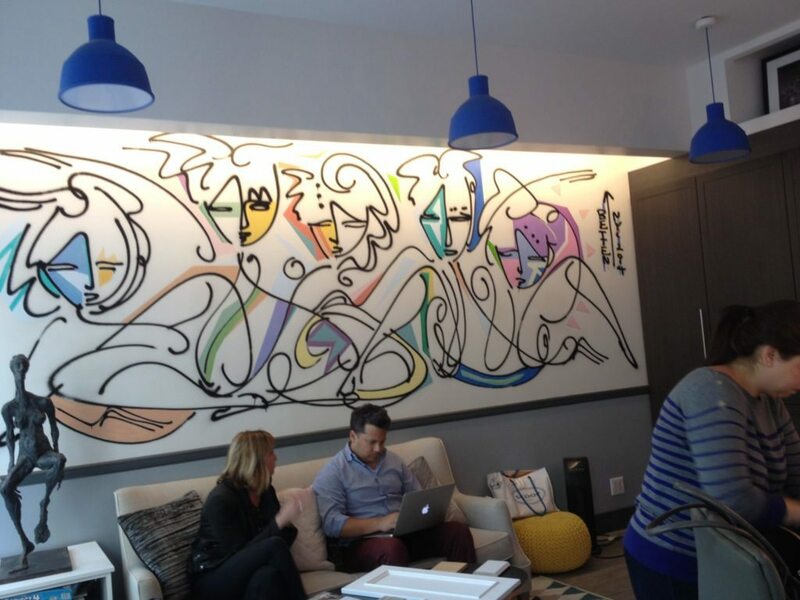 The wall pictured above is designed to get visitors creative juices flowing. The screens feature projects completed by 3F Living, while the bottom shelf hosts “design boxes” that include color schemes and materials for renovations. “It catches the attention of all who walk into the office and we often hear expressions like, “I would love to do that in my apartment.” Bingo. 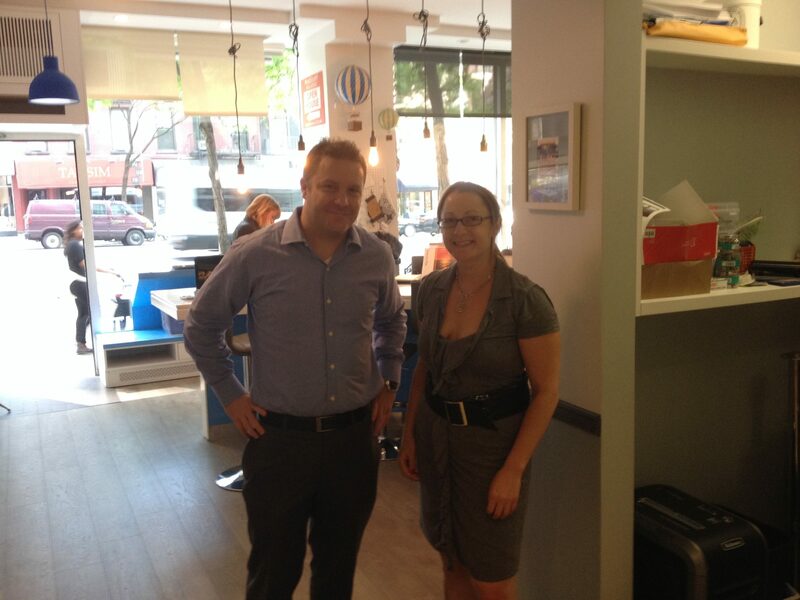 3F Living partners Lindsay Joyce (left) and Zach Sosne (right) hard at work. The office’s kitchen doubles as a functional kitchen and showpiece for various designs. 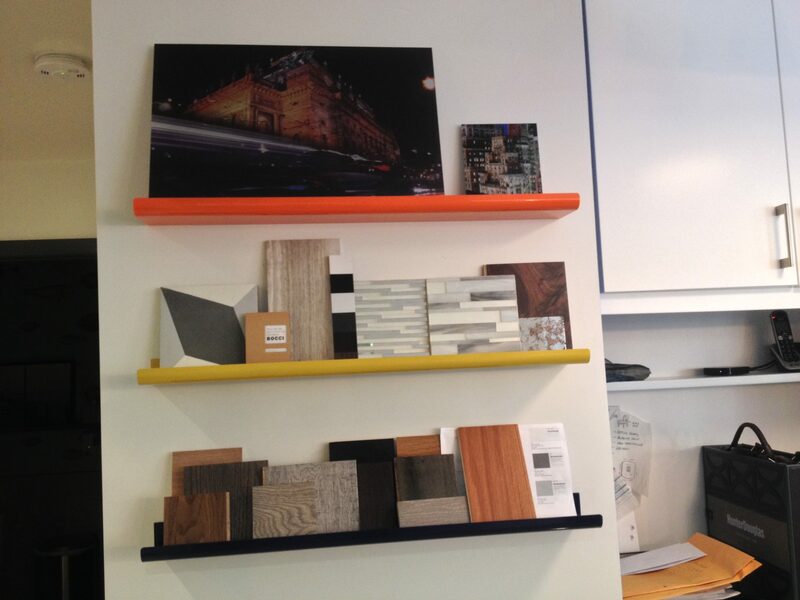 A rack in Roth’s back office showcases various renovation materials recommended by 3F Living. What's driving the shift toward independent brokerages?